This week we look at the top relief pitcher prospects, with insight on the names who could help you this year. This week we look at the top SP prospects with insight on the names who could help you this year. This week we look at the top OF prospects with insight on the names who could help you this year. This week we look at the top 1B prospects with insight on the names who could help you this year. The NCAA Division 1 season opens this weekend. Here's 21 names that could be on MLB teams' top prospect lists one year from now. This week we look at the top 3B prospects with insight on the names who could help you this year. 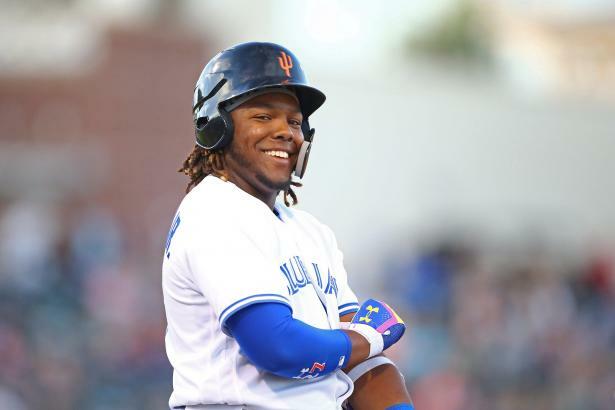 This week we look at the top 2B prospects with insight on the names who could help you this year. Overall the SS position is slightly down from its peak between 2014-2016 — but there are still some intriguing prospects on the list. This week we look at the top C prospects with insight on the names who could help you this year. We finish up #HQ100Week with a look ahead: Rebounds, 2019 value, and a stab at 2020's HQ100.